When Lil Wayne ended last year’s MTV Video Music Awards with a one-two performance of a shamelessly pandering, semi-romantic ballad, “How to Love,” and an almost entirely censored gangsta-rap chest-beater, “John,” most of the people we follow on Twitter tended to blanch. But the rapper-ternt-brand (shouts to Nicki Minaj) was also demarcating the two poles of what a quick Top 40 radio listen would indicate people want to hear. 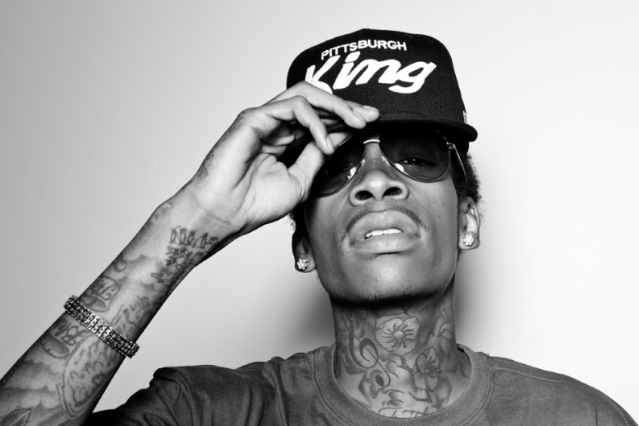 Wiz Khalifa’s new “Work Hard, Play Hard” sounds poised for radio success, and when an opening barrage of epithets is edited for mass consumption, the first single from the Pittsburgh rapper’s August 28 O.N.I.F.C. should weirdly straddle those two categories. Where Khalifa’s recent Taylor Allderdice mixtape unnecessarily apologized for rafters-reaching smash Rolling Papers, here the guy behind the ubiquitous (and Weezy-answered) “Black and Yellow” appears to have decided not to mess with success. Working again with production team Stargate, who also oversaw soaring hit “Roll Up,” Khalifa concentrates his sweetly sung hooks and affably aggressive rapping into a single song. It’s not necessarily revelatory — “work hard, play hard” was the slogan of our 10th-grade homeroom teacher — but it’s, once again, nothing that requires an apology. The sports-TV producers who will surely overplay this are different story.